"This simple dish is packed with flavour. The al dente spaghetti is coated with olive oil, and tossed with mushrooms, cherry tomatoes and capsicums, which add crunch and sweetness to the dish." 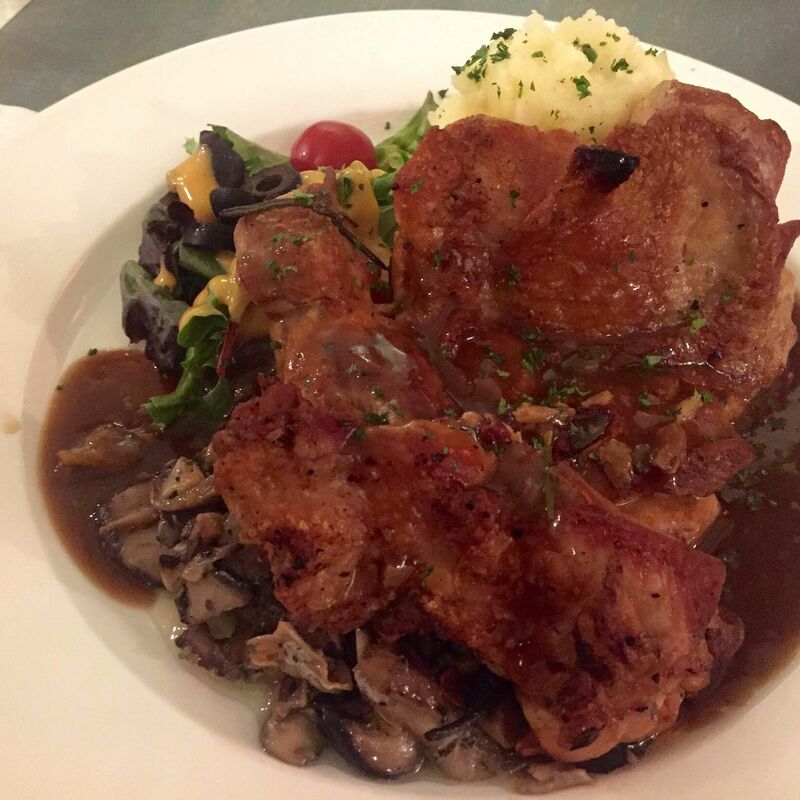 "This generous slab of chicken chop is drenched in brown sauce. The succulent meat also comes with mashed potatoes and sauteed mushrooms, making this a filling meal." 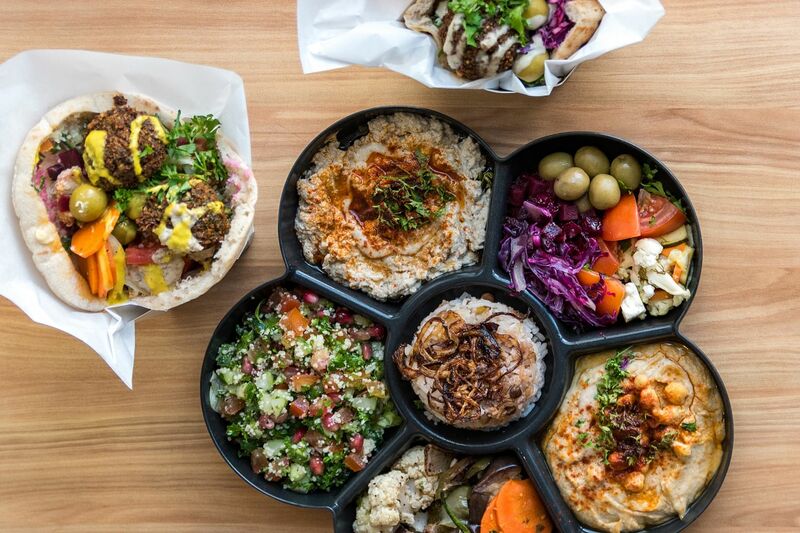 "This platter has hummus, baba ghanoush, dolma and tabbouleh salad. The best part is stuffing these ingredients into pita bread with crispy falafel balls and enjoying the full-bodied flavours." 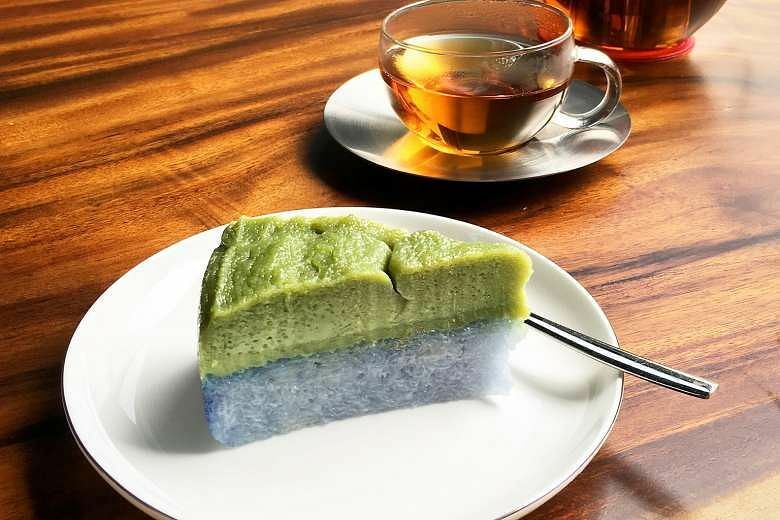 "Looking at the pretty pastel colors is almost as enjoyable as sinking my teeth into the subtly sweet and creamy pandan custard, which blends beautifully with the moist and sticky glutinous rice." "I like dishes with a slight caramelised charred flavour and a treacly, burnt finish. 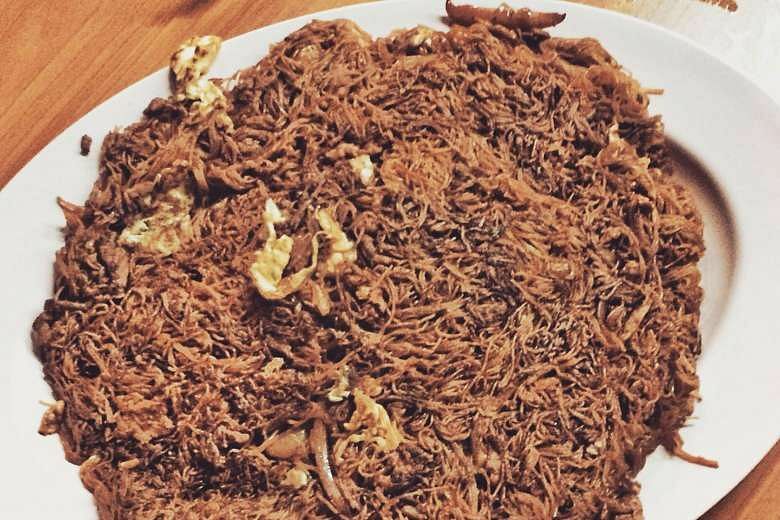 This dish has fried seafood and chye sim on strands of moist noodles." Share your food photos with readers. Hashtag your photos with #STFood Trending or e-mail your high-resolution photos to stlife@sph.com.sg, together with your contact details and "Food Trending" in the subject header. The Sunday Times will feature the best ones here each week.